You may remember that Fox released a Daredevil film back in 2003 starring Ben Affleck and Jennifer Garner among others. That film is widely considered as one of the low-points in the ever-improving genre of comic book films. Oddly enough, that film holds a small and dear place in my heart. At the time I really enjoyed it. 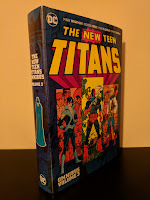 It piqued my curiosity in the character and led me to explore his comic book history. 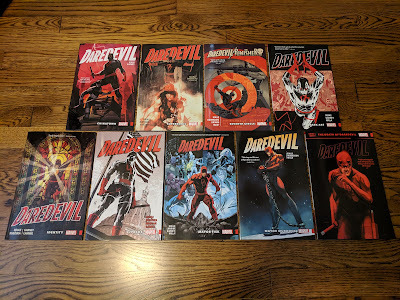 In the time since, I have read every issue from Daredevil's fifty year publishing history (over 560 issues), and in hindsight I realize just how off base that effort was. Many like to slam Affleck for the 2003 film's lack of success (this was during the stretch of his acting career in which he seemingly could do nothing right), but neither he or any of his co-stars in the film were the actual problem. The script and editing was the real culprit, as evidenced by the more cohesive Director's Cut that was released to dvd a few years later. Don't get me wrong, the Director's Cut isn't a great flick either, but it was definitely a better effort than what was released in theaters. Rants about past mistakes aside, it should be pointed out that as a project from Marvel Studios, this series will have no ties to Fox's 2003 feature film. It will be a clean reboot set in Marvel's shared cinematic universe (MCU). It will also be the first of five related series from Marvel that will be distributed via Netflix, with Jessica Jones, Iron Fist, and Luke Cage to follow. Those four four will then culminate in the fifth series The Defenders. For those unfamiliar with the character, Daredevil is actually Matt Murdock, a lawyer from New York's Hell's Kitchen who was blinded by a radioactive/toxic waste accident in his youth. He may have lost his eyesight in that accident, but his other senses became exponentially heightened, allowing him to sense and experience his surroundings in a very different way. The death of his father leads him to leading a dual life of upholding the law in court by day and taking justice into his own hands as Daredevil by night. 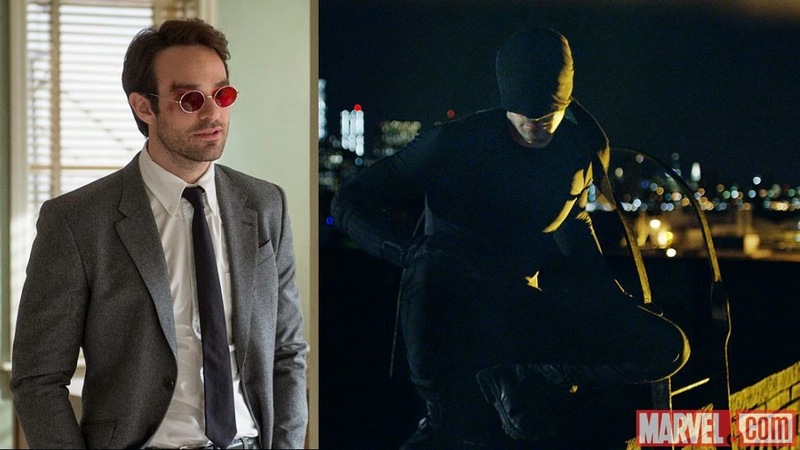 Cast members have slowly been announced over the last few months: Charlie Cox (Matt Murdock/Daredevil), Elden Henson (Murdock's law partner Franklin 'Foggy' Nelson), Deborah Ann Woll (law office secretary/love interest Karen Page), Vincent D'Onofrio (Wilson Fisk/Kingpin), Scott Glenn (Murdock's sensei Stick), and Rosario Dawson whose role had not been announced until yesterday evening's New York Comic Con panel. Dawson will play Claire Temple, whose description sounds very similar to that of a minor yet reoccurring character in Marvel's comics known as The Night Nurse (caretaker to costumed heroes trying to maintain their secret identities). Other newly announced cast members from the NYCC panel include: Ayalet Zurer (Fisk love interest Vanessa Marianna), Vondie Curtis-Hall (investigative reporter Ben Urich), and Bob Gunton (crime boss Leland Owlsley/The Owl). Marvel also released the first official pictures from the series, including both Cox as Murdock and Cox sporting the Frank Miller/John Romita Jr. The Man Without Fear mini-series inspired costume from Daredevil's early days (The Man Without Fear is widely accepted as the version of Daredevil's origin story). 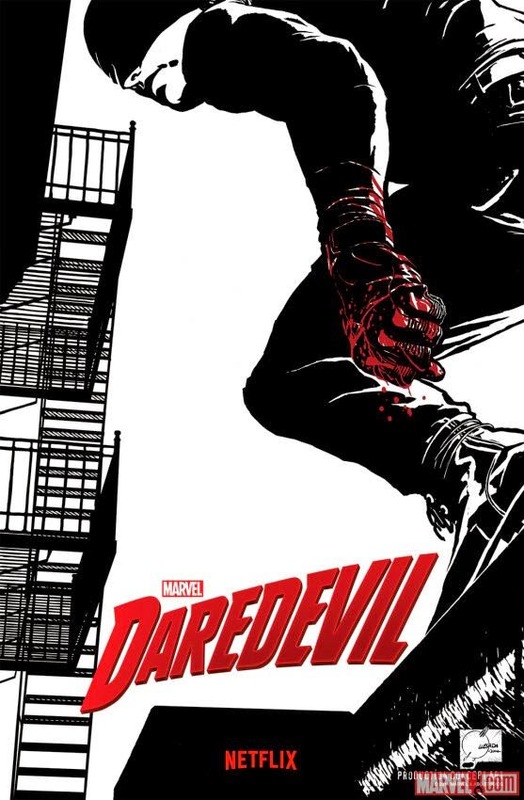 A handful of clips were also shown at yesterday's panel, and from what I've read online, it sounds as though they are keeping the dark, gritty feel that plays such a huge role in the comic book runs of Miller/Romita Jr., Brian Michael Bendis/Alex Maleev, and Ed Brubaker/Michael Lark. This probably shouldn't be too surprising considering show-runner Steven S. DeKnight's previous work on Spartacus (he also worked on Smallville and Angel). The two best write ups covering yesterday's panel that I have found are from Newsarama and IGN if you want to read up on even more details. I continue to be very excited for this series and am even more encouraged after yesterday's news. Adapting The Man Without Fear mini-series (at least partially) is a great place to start with the character. I also love the possibilities put forth by an older Owl, a Kingpin who has not yet risen to power, and how those stories will tie in with Matt Murdock's evolution into Daredevil. 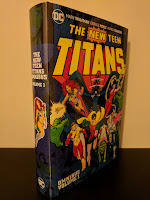 No official release date has been revealed yet, but I'm hoping this will be available sometime in the first half of 2015. I read somewhere that it looked like May, but that is far from official at this point. Whenever Daredevil drops, you better believe I'll be locking myself away and binge-viewing the hell out of it. Right now I'm just waiting impatiently for the first look at a series trailer! Having now had the chance to actually see the panel as opposed to just reading about it, I am beyond excited for this series! It would have been great to have been able to see the clips they showed, but that just adds to the anticipation. Is it next spring yet!?!?! ?